CHICAGO (WLS) -- The annual Chicago Air and Water Show announced its 2015 headliners Thursday. 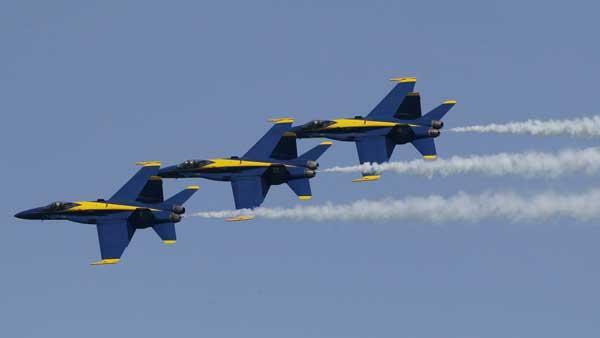 The Blue Angels and Golden Knights will be back at North Avenue Beach for the 56th annual show. New headliners this year are the Breitling Jet Team, making their U.S. debut. The seven plane team from france reaches speeds of 565 miles per hour. The Chicago Air and Water Show runs August 15 and 16 and is free for everyone.